school I had a friend that would bring these delicious cookies packed in her lunch. I would trade her my snack pack pudding for a cookie or two - they were that good! Years later I stumbled across this recipe and I've been making them ever since. are light and not overpowering and the cookie is soft and sweet. Now let's bake some cookies! 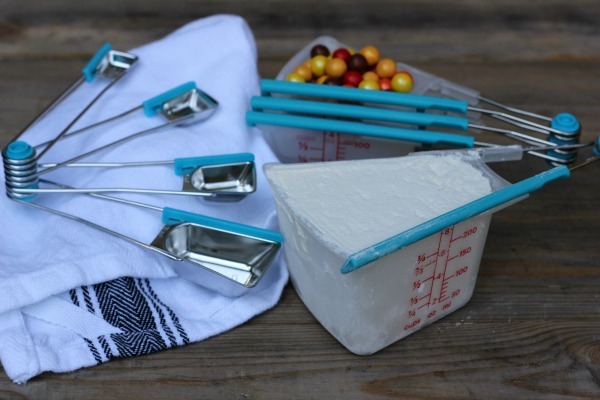 Using accurate measurements when baking is so important. 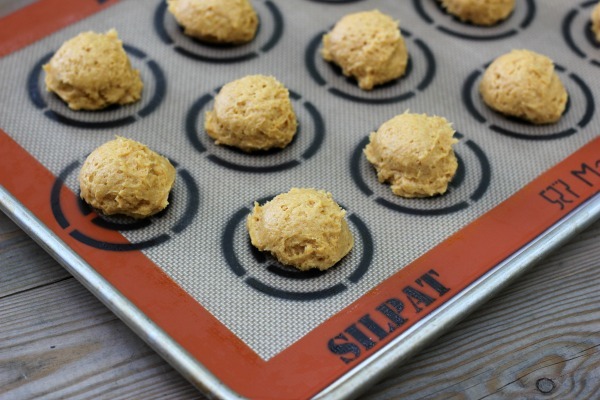 I always use a Silpat mat when baking cookies and I love this one so much! 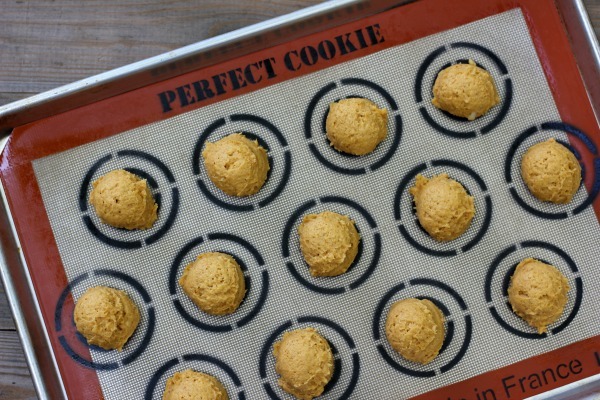 easiest way to drop cookies onto a baking sheet and your cookies are all the same size! use that. Either way, they are delicious! a Silpat, Dreamfarm Levups and Levoons and KitchenIQ V-etched Grater. midnight EST. Good luck! This GIVEAWAY is now CLOSED. If you're more of a chocolate fan, try my Pumpkin Dark Chocolate Cookies. I won the Dixie Crystals Mixed Cookie Bake-Off with this recipe in 2014! Preheat oven to 350 degrees. Line baking sheet with a Silpat or parchment paper. 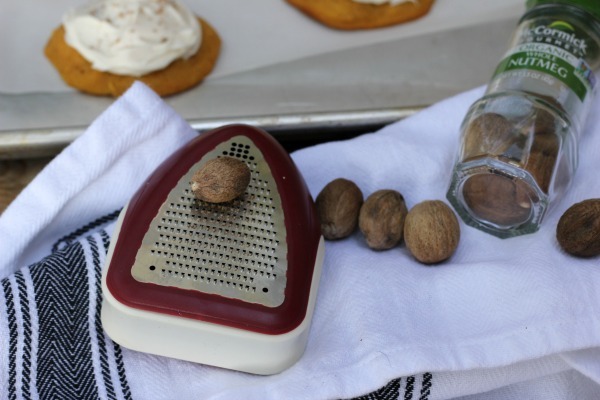 cinnamon and nutmeg; set aside. In the bowl of a stand mixer, mix butter and sugar until light and fluffy. Add egg and vanilla. Add pumpkin and mix, occasionally scaping the bowl. baking sheet. Bake for 10-12 minutes or until tops are set. before removing them to a wire rack to continue cooling. is smooth and creamy. Frost cooled cookies. I think anything with pumpkin is especially yummy. 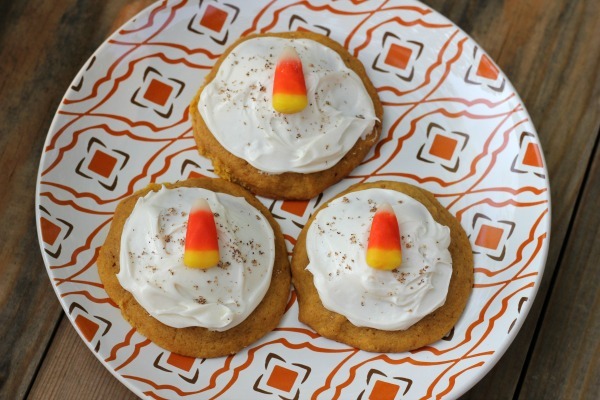 I think these will become my favorite fall cookie! I love to make molasses cookies in the fall, dark, dense and spicy! My favorite are oatmeal scotchies. It is the kind of cookie that flies under the radar, but when you eat one, you wind up eating a dozen. My favorite fall cookie is snickerdoodles. Love the smell of cinnamon baking. I follow you on IG! And pumpkin cookies are my favorite during every season! My favorite fall cookie is oatmeal with raisons. I love to make oatmeal raisin or pumpkin with cinnamon chips. My favorite fall cookie is white chocolate with macadamia nuts cookies. I like the traditional Peanut Butter Cookie with the cross hatches made with a fork. Pairs well with apple cider. Regardless of season, my favorite cookie is a classic chocolate chip cookie baked in a cast iron skillet! I love homemade oatmeal raisin cookies! They are so good and gooey!! I love Mrs Fields Harvest Cookie (which IS pumpkin). I love sugar cookies with pumpkin icing. 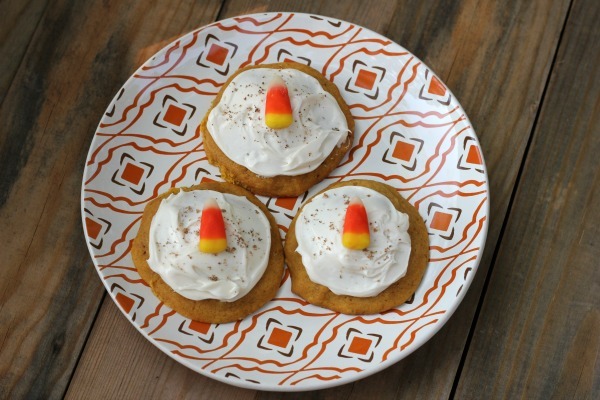 My favorite cookies for the Fall season are Pumpkin Cinnamon Cookies. YUM! I love Apple Cookies With Butterscotch Frosting. I make these every year with my son and daughter. Nothing screams Fall like Pumpkin Spice Honey Cookies. The most delicious cookies I've ever had. I like any peanut butter or pumpkin cookie this time of year. I like pumpkin cookies with cream cheese frosting. My favorite fall cookie is a big soft ginger cookie. My favorite fall cookie is molasses.